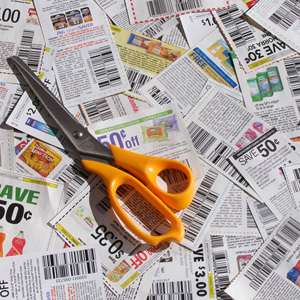 Coupons are a great way to attract new customers and get loyal ones to come back for more. WooCommerce includes simple yet powerful coupon functionality that fits most stores’ needs right out-of-the-box — which means you can start offering coupons with WooCommerce in just a few clicks. When you start an online store, there are hundreds of things that demand your attention. Along with the basics — order fulfillment, customer service, restocking and producing products — there are also tactics designed to grow and improve your business. Marketing is something that new store owners usually know they need to invest their time and energy in, but struggle to start with. Finding marketing tactics that work is tricky, as is making the time to apply said tactics to your store. To lend you a helping hand, we’ve collected a few of the most ideal ways that you can spread the word about your new store, along with the WooCommerce extensions that make these methods possible. We’ve also included some info on how to tell if this is a good fit for you, plus additional reading on each tactic. Keen to kick off your marketing? Have a look at the strategies we’re recommending for you. With the holiday season almost upon us, finding ways to appeal to shoppers is likely at the top of your to-do list. This probably means creating a discount or two, or sending out a coupon code to your email subscribers. Holiday deals take work, though, and quite a bit of time to maintain. If your time or resources are limited, you might be dreading the process of setting up, monitoring, and discontinuing these offers. The good news? There’s a way to make your customers happy and save yourself some time. This involves setting up and advertising “smart” holiday discounts that automatically apply to products or purchases based on specific criteria. Today we’ll explore how you can use a solution like Dynamic Pricing to automatically offer discounts or special deals to customers during the holiday season — no maintenance required.